When I decided to teach ESL online, I had a hard time finding information of what it would actually be like. I hope that this article helps you figure out if this is the right path for you. There are many situations that could make someone wonder if they should teach ESL online. Maybe you want to earn some extra cash during the school year, or you want a summer job. Perhaps you are moving soon and don’t want to start a new school year that you won’t be able to finish. This is why I started teaching online! Or maybe you want to stay home with your kids while making money. This new type of job is becoming more and more popular and for good reason. However, it’s not for everyone. 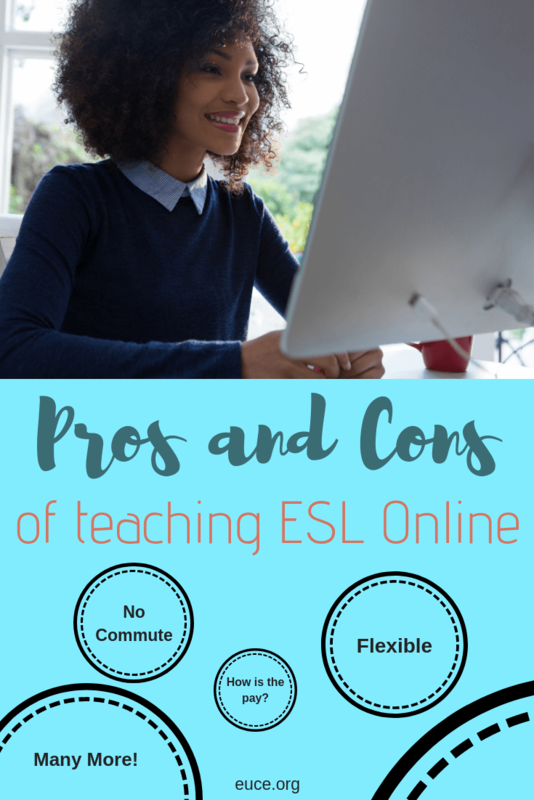 Keep reading to hear the pros and cons that I have discovered while teaching ESL online. Hopefully, it will help you decide if you want to teach ESL online. I haven’t seen an online ESL company that offers any benefits. This means, no insurance, no paid vacation or sick leave. You can still take time off, as much as you want actually, but you won’t get paid for that time. If you need a job that offers insurance, this probably won’t be the best option for you. I’m willing to bet that most if not all classroom teachers would take a pay cut going to online teaching. With most online ESL companies you can make about $25 an hour. When you teach ESL online, you are in control of your schedule. Some companies have you pick your schedule ahead of time and that stays your schedule for an extended amount of time. However, the two companies that I work for, Gogokid and VIPKID, give you complete control. I can open time slots whenever I want, if no has booked a time slot, I can always close it. I usually try to open a week or two worth of time slots to have the best chance of getting them filled, but it is not required by them. With Gogokid, students can book a class with you 24 hours to two weeks in advance. 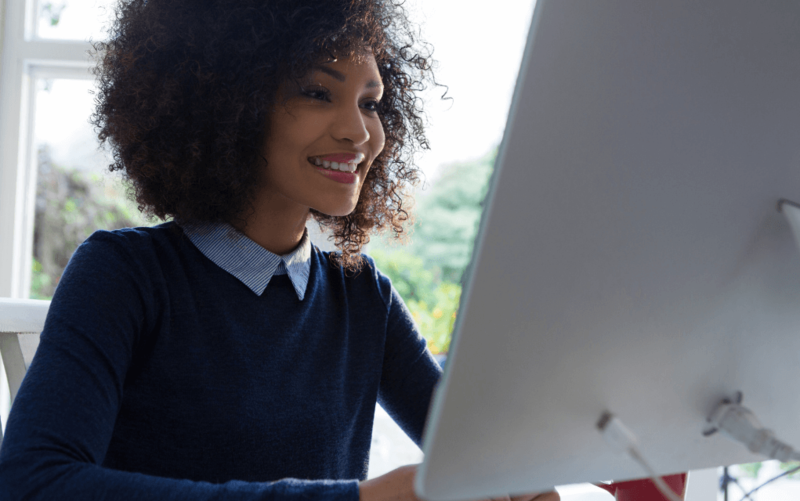 With VIPKID, a student can book classes with you up to one hour before the class (if you want these short minute classes). If you would prefer to not have a class booked within the hour of a VIPKID class, you can deselect “short notice” and they must book a day before the class. This goes along with making your own schedule. Not only do you have control of the times you work, but you can also decide to not open any slots! There is no need to get approval to take time off for a vacation, you just don’t open slots! You can work as much or as little as you want. Not having a commute is helpful for so many reasons! I have an extra 40 minutes in my day now that I don’t have to drive 20 minutes to school and 20 minutes home. That is huge! Just think of what you could do with that extra time. Plus, you save on gas and car maintenance and don’t have to worry about driving to work on days where it’s snowy or icy. Having a classroom job is unique in that you are “stuck” for 9 months of the year. Which means that things can get complicated if you have to move for your spouse’s job. This year, I knew that we were going to have to move for my husband’s job. I didn’t want to start the school year with a classroom because I didn’t want to leave my class part way through the year and I didn’t want to live separately from my husband for months. Now that we have moved, finding a classroom job can be challenging since the school year has already started. The beauty of online teaching is that you aren’t locked in for 9 months and you can start at any time of the year. I’m not saying you should work during your vacation in Hawaii, but you could! As long as you have a good internet connection and a quiet space you can work you could work. In my opinion, this would work great if you want to travel to see family. You still get to visit with them, but you don’t need to take time off. Work for an hour or two in the morning and spend the rest of the day catching up. Win-win! I’m not going to lie, not every class is puppies and rainbows. Just like in a regular classroom, you will occasionally have a student that is less than pleasant. But most of the kids are really great! It’s a lot of fun to make connections with them and learn about their culture. If you are lucky, you will also have many students that become regulars and you can continue to build that rapport with them. I put off starting to teach ESL online because it was hard for me to find information about what it would actually be like if I did it. I hope that this article helps you see if this job is for you. If you decide to teach online, I would highly recommend working with Gogokid or VIPKID. I did a lot of research (weeks of research actually!) to figure out which companies to work for. These are by far the best and I am enjoying working for both of them. If you decide to apply, let me know. As your referral, I would love to help you through the process. You can email me at abby@euce.org with questions or just to let me know that you started the process!